Victor Nathaniel Tickner was born on the 31st of March 1887 in Capel, Surrey to chimney sweeper George John Penfold Tickner and Ellen Tickner nee Mills. Victor Nathaniel’s father George John Penfold Tickner was born in the 3rd quarter of 1850 in Capel, Surrey to gardener George David Mitchell Tickner, born about 1825 in Betchworth, Surrey and Mary Tickner, born about 1825 in Capel, Surrey. Victor Nathaniel’s mother Ellen Mills was born about 1856 in Leigh, Surrey to farmer James Mills, born about 1825 in Dorking, Surrey and Martha Mills, born about 1834 in Ifield, Sussex. 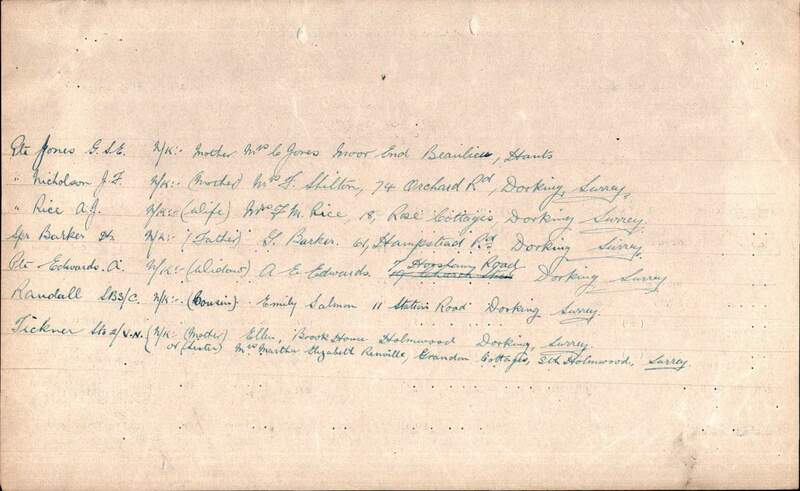 George John Penfold Tickner and Ellen Mills married by Banns on the 1st of August 1874 at the Holy Trinity Church in St Mary Newington. At the time of the marriage, the couple lived in Kent Street. George John Penfold Tickner was working as a chimney sweeper. Victor Nathaniel Tickner had nine siblings: George Augustus Tickner born in the 2nd quarter of 1876 in Capel, Surrey; John Frederick M. Tickner born in the 3rd quarter of 1877 in Capel, Surrey; Albert James P. Tickner born in the 1st quarter of 1882 in Capel, Surrey; Grace Ellen M. Tickner born in the 2nd quarter of 1883 in Capel, Surrey; Charles William Tickner born in the 4th quarter of 1884 in Capel, Surrey; Martha Elizabeth Tickner born in the 4th quarter of 1888 in Capel, Surrey; Thomas Henry Tickner born in the 4th quarter of 1890 in Capel, Surrey; Lily Jane Tickner born in the 4th quarter of 1893 in Capel, Surrey and Emily Jessie born in the 1st quarter of 1896 in Capel, Surrey. Victor Nathaniel Tickner was born on the 31st of March 1887 in Capel, Surrey and was baptised on the 8th of May 1887 in Holmwood, Surrey. At the time of the 1891 Census, the family lived at Holmwood Corner, Beare Green, Capel, Surrey. George John Penfold was working as a chimney sweeper and Ellen was looking after their children: George Augustus, John Frederick M., Albert James P., Grace Ellen M., Charles William, Victor Nathaniel, Martha Elizabeth and Thomas Henry. 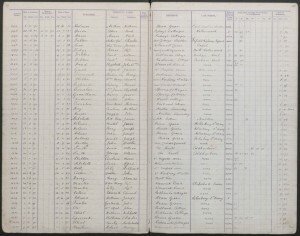 The 1891 National School Admission register reads that Victor Nathaniel Tickner was admitted on the 31st of March 1891 to South Holmwood Church of England School. At this time the family lived at Brook Cottage in Holmwood. 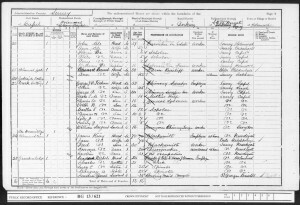 He left the school in April 1900. 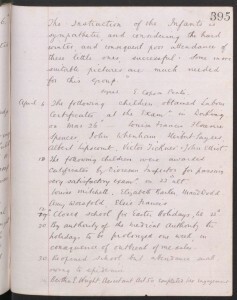 The 1900 South Holmwood Church of England School log book reads that Victor Nathaniel Tickner obtained a Labour Certificate after an examination in Dorking on the 26th of March 1900. 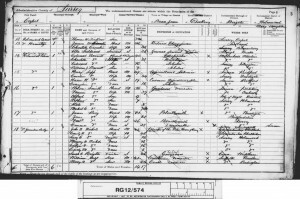 At the time of the 1901 Census, the family lived at Brook Cottage in Holmwood, Capel. George John Penfold was working as a chimney sweeper and Ellen was looking after their children: chimney sweeper George Augustus, mother’s help Grace Ellen M., general labourer Charles William and scholars Victor Nathaniel, Martha Elizabeth, Thomas Henry, Lily Jane and Emily Jessie. The family employed journeyman chimney sweeper William Sargent. George John Penfold Tickner died on the 20th of April 1901. Ellen Tickner and her oldest son, chimney sweeper, George Augustus Tickner received £812, 4s and 11d in Probate. 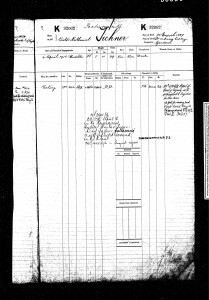 On the 14th of April 1905 Victor Nathaniel Tickner became a porter at Petworth station, Sussex. He was working for the London, Brighton and South Coast Railway Company for 12s per week. 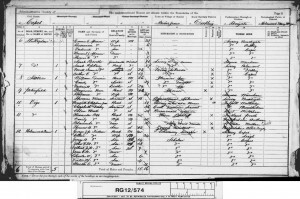 At the time of the 1911 Census, Victor Nathaniel was a boarder to bricklayer George Parsons at 43 Spencers Road, Crawley, Ifield in Sussex. Victor Nathaniel was working as a bricklayer’s assistant. 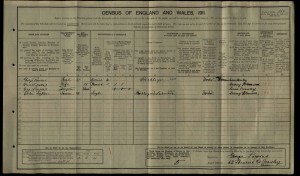 At the time of the 1911 Census, widowed Ellen and her children lived at Brook House Cottage in Holmwood. Ellen was running a small general shop and her daughters Martha Elizabeth and Lily Jane were her assistants. Thomas Henry was working as a chimney sweeper and Emily Jessie was at home. The household had also a visiter, Ellen’s grandson, George Tickner. The house had 10 rooms. Before joining the Navy, Victor Nathaniel Tickner lived with his family at Brook House in Holmwood and was working as a gardener for Mr John Lee, Esq of Minnickfold, South Holmwood. 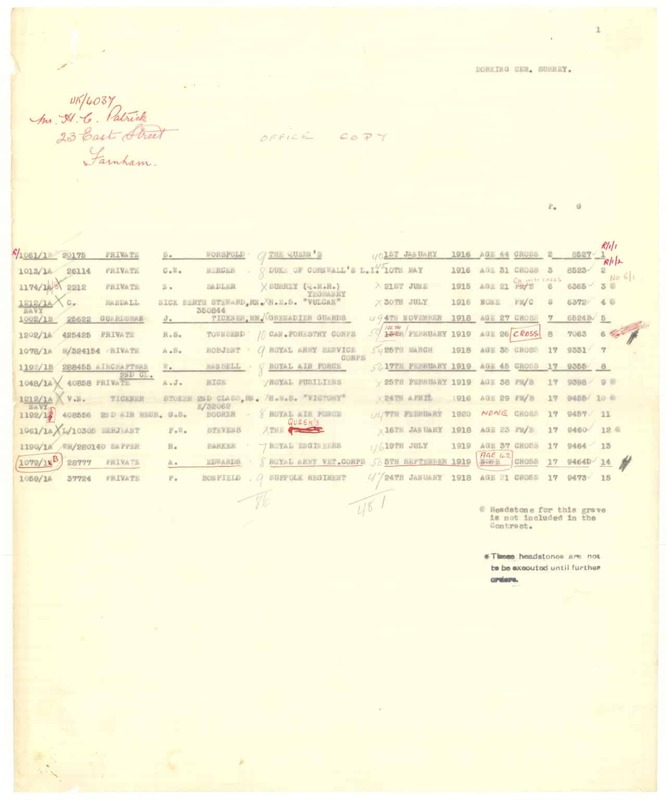 Victor Nathaniel Tickner tried to obtain an exemption from navy service for family reasons. He claimed that he was the only son at home with a widowed mother. His two brothers were in the Army. 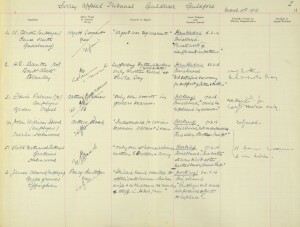 On the 11th of March 1916 his case was heard by the Surrey Appeal Military Tribunal in Guildford. The outcome was not successful. The appeal was disallowed on the 17th of February 1916 on the grounds that there were two sisters at home to look after his mother and the small general shop. 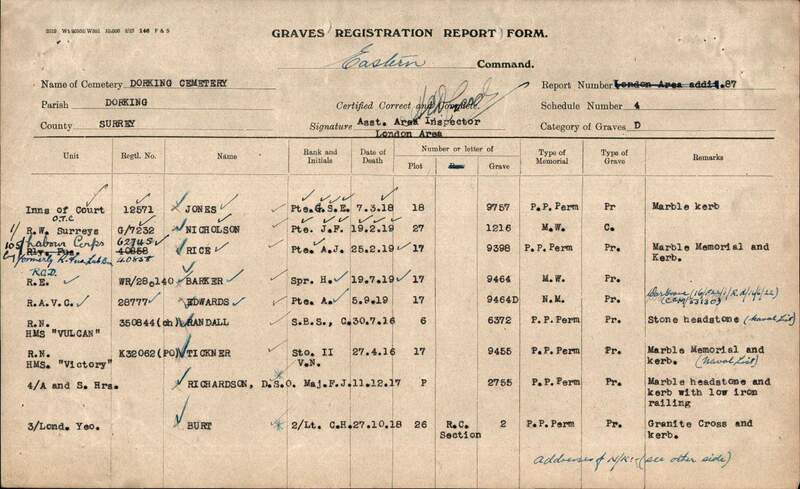 On the 4th of April 1916, Victor Nathaniel Tickner enlisted into the Royal Navy. He was a Stoker 2nd Class on the HMS Victory. His service number was K32062. Less than month later, on the 27th of April 1916, Victor Nathaniel Tickner was dead. He died at the Haslar Royal Naval Hospital of heart attack, following a self inflected wound to the throat. Victor Nathaniel Tickner was buried on the 1st of May 1916 at the Dorking Municipal Cemetery. His grave reference number is: 17.9455. 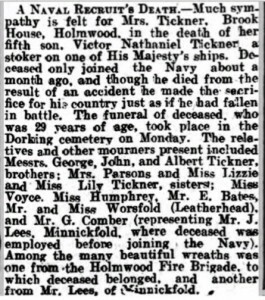 According to the 1916 Dorking and Leatherhead Advertiser he was believed to have died in an accident. Victor Nathaniel Tickner had a dark complexion, brown hair and brown eyes. He was over 5ft tall.